THIS WINTER, FROM 6TH – 17TH JULY 2016, JBAY WINTERFEST WILL RETURN FOR ANOTHER FULL FESTIVAL EXPERIENCE. 2015 saw the JBay Winter Fest establish itself as one of the country’s premier sporting and music events, attracting some 45000 festival goers over the 10-day period. Exhibiting an array of 13 sporting events the JBay Winter Fest attracts a field of national and international competitors to participate in a line up of disciplines open to the public and along with invite only speciality events. Spear-headed by the JBay Open of Surfing, an event drawing over 10 000 spectators for the final day, the town of Jeffreys Bay also hosts a Mountain Bike Open with several distances ranging from an easy 20kms for kids and beginners to a technical 85kms route, a Downhill Sokkie Jol with ramps and obstacles for skateboarders, Oakley’s X-Over Championship and a Winter Music Festival featuring the country’s leading acts. Jeffreys Bay, home to the planet’s best right-hand point break, Supertubes, host to South Africa’s most prestigious surfing events and wet-dream to every surfer worth their weight in salt. JBay is globally renowned for its world class waves and prominence in the international surfing community. In 2013 the town of Jeffreys Bay launched the inaugural JBay Winter Fest, an extreme sports festival with a basic principal for all athletes and disciplines – Back to Core. Back to Core champions the primary motivation in each one of us, the impulse that made us first paddled out into surf, why we kept paddling. It’s that initial spark, that infectious enthusiasm that makes us love adventure sport with immaculate joy. Back to Core embodies the belief that our inclination to chase our passion runs deep, and in a bustling world, there’s still space to celebrate the things that bring us fundamental exhilaration. This year sees the festival return with more events, more athletes and the return of the Samsung Galaxy ASP World Championship Tour (WCT) Event. For ten days over winter, the JBay Winter Fest highlights the culture of Jeffreys Bay with a rush of extreme sports, endurance events and some of South Africa’s biggest bands. From 6-17 July 2016 J-Bay will be sensational. 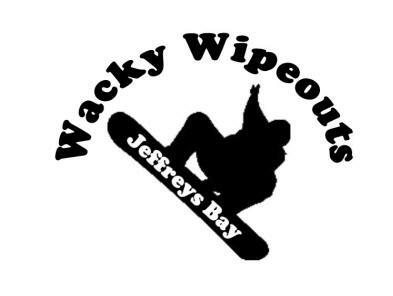 Visit Jeffreys Bay Winter Fest page for more info. For over forty years J-Bay has lured surfers from across the globe to the legendary break of ‘Supertubes’ and its ruler straight hollow cylinders. The multiple sections of the lengthy wave grant its deserved reputation as one of the world’s best right hand point breaks. Despite freezing winds and chilly water when the Bay becomes stacked to the horizon with corduroy-like swell lines the elements become a minor factor to surfers. The break relies on a long, curving lava reef that begins as a jagged south-facing outcrop and continues for at least a mile down the inside edge of the bay. Gaps in the reef line are supplanted by sand flow from beaches to the west, occasionally altering the character of some of the sections. From the top, J-Bay consists of Magnatubes, a peaky right and semi-left, more exposed to swell than most of the stretch, yet never linking to the major lineup, instead fizzling into a small sandy bay between it and the next section; Boneyards, a quick hollow right reef that predominates on smaller days and an occasional left, begins to close out toward the start of J-Bay's splendid premier section; Supertubes, an aptly named long slabby powerful wall, drawing larger swell energy from the upper reefs and funneling it for around 200 yards, letting the skilled surfer dictate the terms of a ride without ever seeming weak or unchallenging; Impossibles, often also aptly named, a series of shallow lava beds with long deepwater holes interrupting the wave, except during times of unusual sand buildup when the whole 150-yard section can become an extended barrel; Tubes, where the wave begins to slow and ease into the final connected section of wave; the Point, a mellow, playful wall flowing down into a final closeout across weed-softened reef and Albatross, farther across the bay, which is another piece of reef featuring a quick right. Some diehard J-Bay surfers claim that Albatross operates as the end section on rare giant days. Support the efforts of All Africa Volunteers in Jeffreys Bay by donating any unwanted boards and suits to the community surf development project. This equipment is needed to be used for teaching street children and other disadvantaged children to surf. Backpackers Hostel located right in the centre of town within crawling distance from nightlife, shops and restaurants. All Africa Volunteers in Jeffreys Bay by donating any unwanted boards and suits to the community surf development project. This equipment is needed to be used for teaching street children and other disadvantaged children to surf.